There is preparatory work required for both interior and exterior painting projects, but the scope of the work for the exterior is different. When preparing to paint the exterior, you may need to scrape away peeling paint, replace some boards and siding, re-caulk all of the surfaces and complete other steps. You may also need to add a coat of primer to the surface so that the new paint will take well to the surface. These steps can take a considerable amount of time and energy, and in fact, you may find that the preparatory stages take as much time or even more time than applying the final coat of paint to the surfaces. It is essential to take a solid look at the height of the surfaces that you will need access to and to think about the type of work that you need to do from that height. For example, to complete your painting project, you may need to scrape, caulk, prime and paint the top of the chimney, which may even exceed the top of your roof line at its peak. This may be 20, 30 or more feet in the air. Imagine standing on a ladder and holding onto the ladder with one hand while trying to complete this work and hold onto your paint can at the same time with the other hand. This will require extra equipment, like scaffolding, to avoid injuring yourself, and scaffolding can be expensive to purchase and time-consuming to erect and move around the house. The last thing you may want is for your home painting project to take several weekends or more to complete. Your curb appeal during this time may be lacking, and you may find that the weather interferes with your ability to get the job done on your schedule as well. This is a project that may take several men in a painting crew several full days to complete, so you may find it takes you two to four times this amount of time to complete the work on your own. Keep in mind that skilled painters may be able to work more efficiently than you. Exterior house painting is quite a significant undertaking, and you do not want to underestimate the scope of the work that is required to get the job done. Nor do you want to start a project that you cannot feasibly finish. While you may save money working on the project yourself, this is not always the case if you have to buy scaffolding and other equipment and supplies. If you are thinking about painting your home’s exterior, take time to request a quote for professional painting services today. Imperial Painters provides high-quality painting services for residents and businesses. For more information contact us at https://imperialpaintersco.com/ or at Denver house painters. The physical appearance of your business home should be significant to you. It plays a role in the impression customers get from it. With House painters services, you can give that business a facelift. You may wish to change the color and even add some murals or a business logo to help with branding. You can keep it the same color but just give it some fresh coats to look great. You can’t cut corners when it comes to great work, and that is why you need to be selective. Don’t hire the first commercial painting company you talk to or the one with the lowest price. Stick with a business who can prove they offer quality painting services, and they use quality products. Find a business that can get the job done efficiently and correctly. They should be easy to communicate with. Ask plenty of questions and let them know what you need to have done. Talk to them about the best paint for your structure and why they feel it is going to last. The climate and other factors should all be assessed, and they will have such knowledge to share with you. What can professional commercial painters deliver? It doesn’t cost anything to talk to a House painters and see what they can deliver. What type of methods and equipment do they use? How long do they think it will take to complete? What types of challenges do they see being in a place that they need to work with? There may be some damages that have to be addressed and fixed before painting. When to get it Done- A common concern for business owners is when the work can be done. They don’t want to disrupt the business routine of employees or upset customers. Keep in mind that a commercial painting service is understanding of all of this and they strive to offer flexibility. They will discuss with you when the business is closed. Perhaps you are closed in the evening and weekends. If your business is open daily and several shifts, they can discuss with you when the slowest times are and get the work done. You may be closing over a holiday period, and they may be able to get the work done then. If they need to work while you are still open, they can work on the project in segments. It allows work to continue while they are taking care of painting in a certain area. They can move to another section. The process can continue until all of the work is completed successfully. They should strive to take precautions too around work equipment and other items, so nothing is damaged during the painting process. Worthwhile Investment- If your business is looking old and ran down, previous customers may worry you no longer can offer what they need. They may assume your business isn’t doing well and that can push them in the direction of one of your competitors. A ran down business appearance can also prevent potential customers from giving you a chance. That isn’t fair, but it is the reality of it. 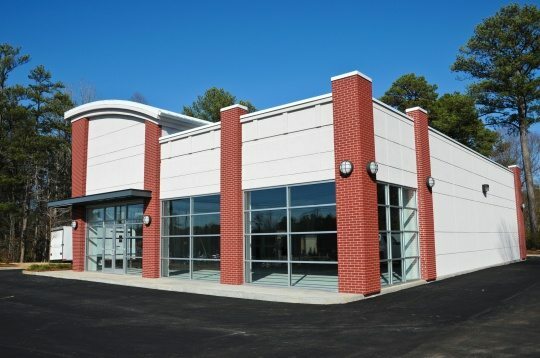 Thanks to the services of a great commercial painting company, you can be proud of what your business looks like. It will be appealing to new and previous customers as well as inviting to your employees. Don’t underestimate the impression it can have on vendors and future business venture partners too. The cost is going to vary based on the commercial painting provider, the materials they use, and the quality of the paint they will use. Talk to them about the overall cost involved in prep, painting, and clean up to get a fair deal. They may be willing to negotiate with you too if your budget doesn’t allow their cost to be covered. It doesn’t hurt to find out what they can do. Imperial Painters provides outstanding painting services to businesses and residents in the Denver area. For more information contact us at https://imperialpaintersco.com/ or at best Denver painters. Meal times are occasions when members of the family usually spend time together. They are like bonding times for the family, so most, if not all, moms make sure that whatever they will share together during these times are special. Thus they spend a lot of time in the kitchen preparing for the meals. If the kitchen looks good and very functional, moms will be inspired more to do what they have to do. But the kitchen is one of the most taken for granted parts of the house. Attention given to designing the kitchen is less than the attention given to other parts of the house frequently exposed to guests like the living room and the den. So how do you make the kitchen look good to inspire whoever is cooking to give the best service? One of the best ways to improve the look of a kitchen is to paint it nicely. The color of a kitchen sets the mood of the entire area, so it is important that it is given enough consideration. After consulting some local house painters, we have come up with some suggestions for kitchen painting ideas to help improve your kitchen. If you have a small, kitchen and you want to create an illusion that it is big, one of the best kitchen painting ideas that you can use is painting with light colors. Light colors will make your kitchen appear larger, so you do not feel cramped every time you cook. Consequently, if you have a large kitchen and you want it to be a little cozier to work in, you the can paint one side with dark colors. Keep the color proportions within balanced control as you design your kitchen’s color scheme. The finest idea here would be dividing the use and application of color into three components. Along those lines, you will use the primary color in 60% of your kitchen room and its walls. As you shop for suitable paints, take along a small notebook and samples of fabrics, wallpapers, or countertop as well as the cupboard colors that you’ll be using within the kitchen. In the areas where swatches do not appear to be practical, you better gather some paint samples initially to match those to the articles. You can also consider experimenting with any complementary color scheme that nicely meshes opposite to one another on the color wheel. As a typical country kitchen may be lavishly painted in soft red and green for achieving an eye-appealing and complementary look. Just said before, pick colors that are just next to one another on the paint color wheel. This should develop an analogous color scheme on your kitchen. You can, for instance, combine citrus hues like lime green or lemon yellow or even orange for creating a bright/cheery look into such kind of schemes. Consider using multiple shades using just one single color for creating a monochromatic color scheme to go with your kitchen. That makes great sense especially when neutral colors come with the contemporary, yet monochromatic look. If you are a conservative or a traditional person, one of the best kitchen painting ideas for you is the monochromatic style. A monochromatic color scheme is easy on the eyes. It will not stress you out so you can work freely and lightly in your kitchen. On the other hand, if you are on the edgier side, one of the kitchen painting ideas that will likely appeal to you is the use of bright colors which complement each other. Yes, you need not be confined to the old school of painting where you put on only one color in a room. You can paint for example the east and west walls with one color and the south and north walls with another. Or you can even alternate two colors in a certain wall to create stripes. It will all depend on how spunky you are. For ways in which we can help you with our painting services, feel free to contact us. Imperial Painters has been providing quality painting services for interior and exterior painters. More more information contact us https://imperialpaintersco.com or at Denver Colorado painters. When is the best time to paint the exterior of your home? In many occasions, property holders regularly execute home change ventures amid summer. The reason is quite self-evident – the radiant condition and warm climate are perfect conditions particularly on the off chance that you are taking a gander at broad work on the outside of your home. So, the temperature is only one among a few vital factors that you need to consider when performing home improvement exercises. When in doubt, it is indispensable that when you execute your home rebuilding venture, you can meet the working conditions that will probably cut your costs and also spare you time in finishing the home painting venture. While the acknowledged standard is to execute your home painting and expansion ventures amid summer and spring, this does not really imply that you need to restrict yourself to this acknowledged work routines. The fundamental decide that you should take after when settling on the timetable of your task is to for the best time where spending prerequisite and bother are at their base levels. Knowing when to paint-this is one part of your choice that must be truly considered. The planning of your work and buys will decide, to a specific degree, the amount you will spend on the home change venture. So, you should consider the effect of the general state in the market in choosing when you will dispatch your undertaking. The predominant costs of development materials and supplies, for example, wood, paint, and concrete go into a cycle of plunges and pinnacles relying upon the level of free market activity. On the off chance that we will utilize showcase powers as one of our decision parameters, at that point the best time to actualize home change activities may not really be amid summer or spring. However, you might find yourself in a dilemma trying to come up with a middle ground in your final work schedule as you struggle to account for several contending forces. Is there a perfect way by which you can extricate yourself from this tight situation? Prices of construction materials and supplies may go down during the time when it is not ideal for home remodeling. When it is possible, you may carefully schedule your purchases of materials and items that can be stored when prices are low and begin work when conditions are perfect. In this way, you get to enjoy the best of both worlds – low prices and perfect working conditions. On top of these variables, most contractors are much too busy during summer and spring, and it would be a good idea to consider other possible options where you won’t be competing with other homeowners for the services of home remodeling contractors. Your ‘best season’ may not be the best time to do your home remodeling. It depends on the kind of jobs involved in the project. This means that the right timing will vary depending on the type of home improvement project you are planning to undertake. Your best bet is to schedule work a month or two before and after everyone else starts with their house painting services. Imperial Painters has been providing quality painting services for residents and business in Denver. For more information contact us at https://imperialpaintersco.com/ or at Denver CO painters. A paint consultation is the best way to help you to choose the best colors for your home. A paint consultation will take into consideration what colors you like, what type of room you are painting, how much light is naturally streaming into the room, the wall covering materials you are painting, and your sense of style as they help you determine what colors will be perfect for you. Sometimes we all get ready for a change and want to freshen up the look of our home. House Painting is one of the least expensive ways to refresh the look of our home, but we do not want to pick the wrong color and then have to either live with a bad choice or paint again. A paint consultant can help you to choose the right colors the right depth of color, and the right sheen of paint so that you will be happy with your choice. That saves you both time and money. Start with the color that you love. This will be your base color and you will create a color palette around your base color. Use your favorite piece of art, one that will hang in the room, then choose a color in that artwork and work with that as your color base. Use a favorite comforter or quilt and select one color from that material and use that as your color base. Use a color wheel to show you what colors look best with your color base. You can find color wheels at most paint supply stores. Pick out your favorite color of blue and then choose a paint that is one shade lighter than that color blue. Next, choose a color that is one shade darker than your favorite color of blue. You have just created your own color palette and you can use combinations of these three shades of blue to create an amazing colored room. The sheen in the paint you use may change the color of the paint you choose. A dark color should not be used in a hi-gloss paint. A high gloss paint has more colorant in it than a matte or satin finish pint has. The extra colorant will combine with the dark color of the paint you have chosen and it will make the paint look shinier than you expect. If you have a dark color in mind for your walls then choose a lesser sheen to offset that color choice. Dark colors when paired with stark white or exact opposites like bright pink and bright blue can bring out the boldness and compliments each other. You can have a bright blue room that has bright green trim and moldings in it. Or a dark color on your walls with a stark white molding and trim. Look outside to some of your favorite colors of leaves, favorite sky colors, and favorite flower colors. These earthy outdoor colors can brighten your spirits and bring you a sense of calmness when you are in the room. Sand colored walls with a sky blue ceiling can make you feel as if you are lying on the beach. Be bold, be creative, and be you. Imperial Painters provides quality painting services for residents and businesses. For more information contact us at https://imperialpaintersco.com/ or at painters Denver. 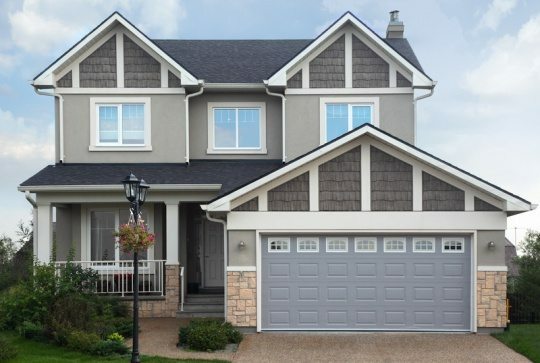 How do you go about choosing paint colors for your exterior home? Check out this youtube video to get a better feel for what paint colors would work best. Finding the best colors for your home can sometimes be a frustrating process. When you are thinking about what type of colors you want to use for your exterior painting project, it is helpful to have a professional painting consultant walk alongside you during the process. House painters know how to walk you through the process of choosing the right paint as well as how to go about preparing your home to be painted. For more information, find out more about Imperial Painters on their Facebook page. What sets our painting company apart from other companies is that we seek to bring a comprehensive approach to painting even down to helping you pick out your paint colors. It can be intimidating to figure out what types of colors would work best within my home. This is where we come to help you. 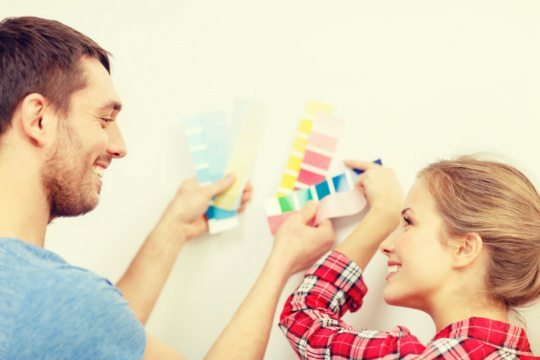 Because of our experience, we are able to walk you through the process of choosing the right colors so that you feel confident in making your choice for paint colors. Below is a helpful article on how to choose paint colors for your home.